The Vietnamese Government has attached much importance to and ordered relevant ministries to closely work with the World Economic Forum (WEF) to organise the World Economic Forum on ASEAN in 2018, one of the most important diplomatic events in the country in the year. 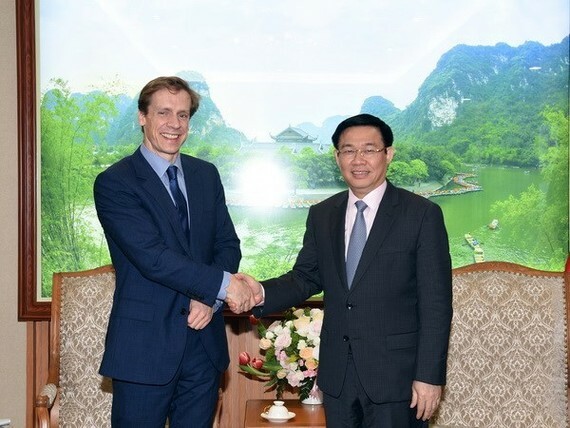 Receiving Justin Wood, head of the Asia-Pacific region of the WEF in Hanoi on March 7, Deputy Prime Minister Vuong Dinh Hue hailed the WEF for sending a delegation to Vietnam to study the country’s preparation for the event. He expressed his hope that the event will help popularise Vietnamese image and open opportunities for foreign partners to land investment in the country. Hue lauded the WEF for successfully organising the WEF Annual Meeting 2018 in Davos, Switzerland in January and thanked the organisation for its warm welcome for Vietnamese delegation. Wood, for his part, said that Vietnam’s participation at the WEF Annual Meeting and Hue’s speeches on global free trade and ASEAN connection made significant contributions to the success of the event. He affirmed to join hands with Vietnam to organise the WEF on ASEAN, stressing that it will offer chances to ASEAN and Vietnam in particular to attract investment and bolster business cooperation with its partners. The WEF was established in 1971 as a not-for-profit foundation and is headquartered in Geneva, Switzerland. The forum has strived in all its efforts to demonstrate entrepreneurship in the global public interest while upholding the highest standards of governance.